Are you looking for an adrenaline kick? Whether in the air, on the water or on horseback - pick three unforgettable experiences! Do you fancy strong currents? 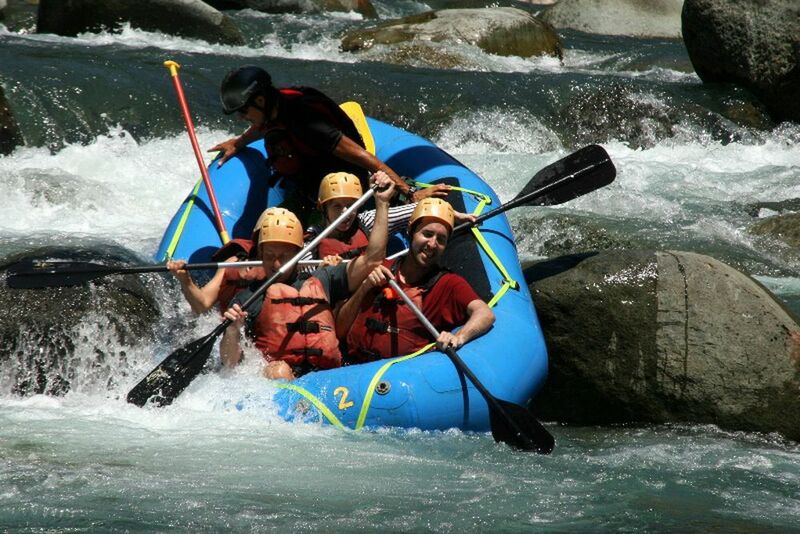 Then take part in a rafting tour! Feel free as a bird and experience Costa Rica's beautiful landscape from a whole new perspective. 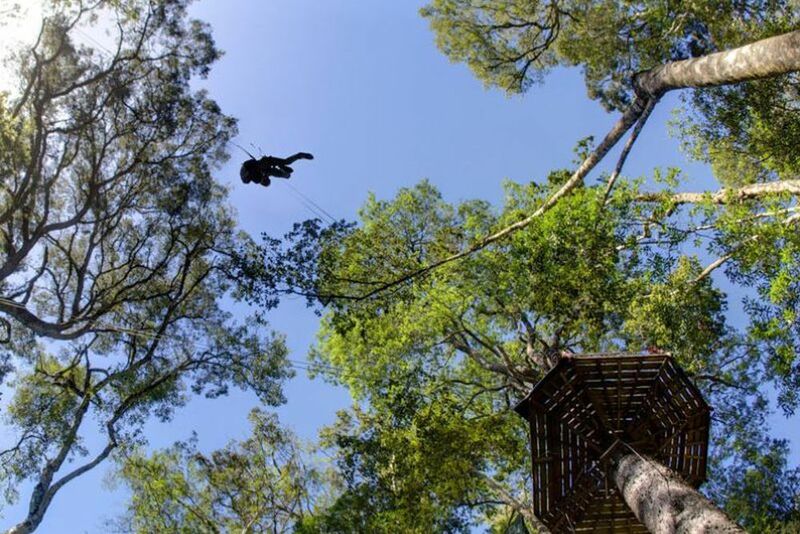 Fun, action and pure adrenaline - experience a day full of fun, exciting adventure and outdoor activities at the Hacienda Pozo Azul! Whether in the air, on the water or on the back of a horse \ - Combine three trips to your heart's content! Just right for adrenaline junkies! 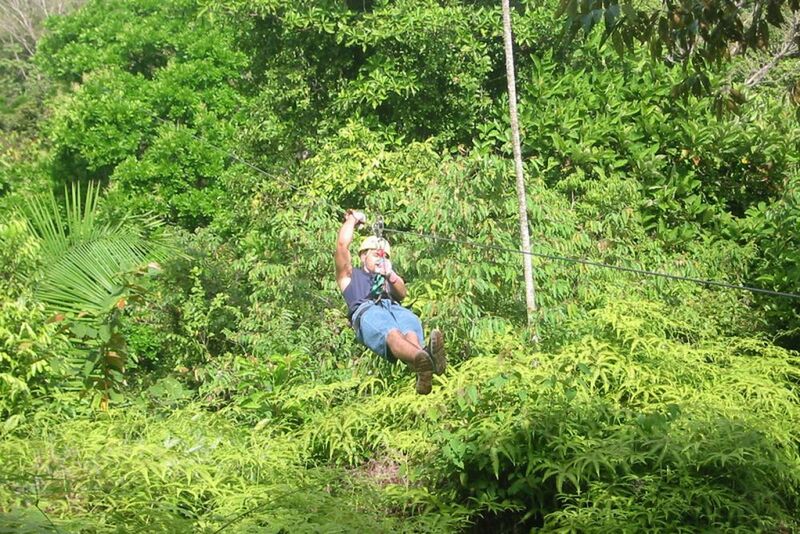 Feel the wind and glide through the treetops of the rainforest by zip line. At the Canopy Tour you can observe the beautiful landscape of Costa Rica from a completely new perspective. From platform to platform (a total of 13), make your way through the treetops of the jungle giants - a true Tarzan experience! Embark on the water and get to know the class II & III current clamps of the country. On the Rafting Tour, you will encounter wild currents for a full eight miles. Are you looking for the unique adrenaline kick? Let yourself be rappelled by a 27 m high Wandam Sarapiqui River Canyon. 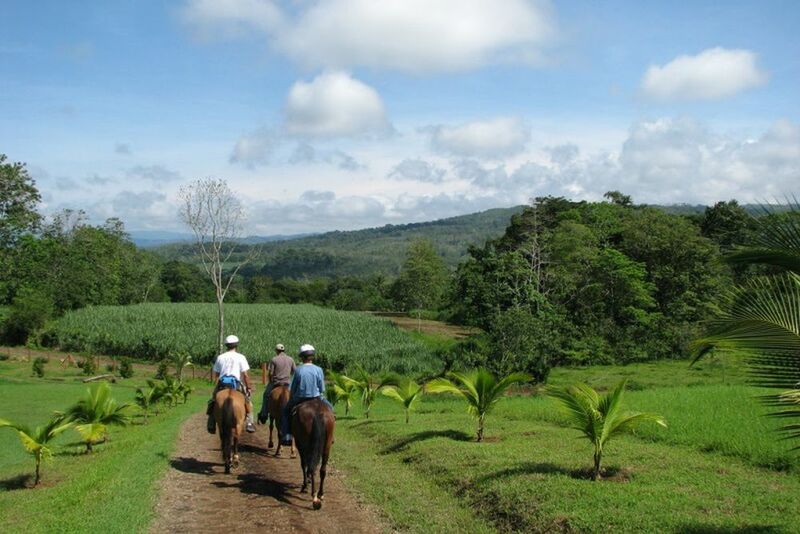 On horseback, you can soak in the surrounding beautiful scenery - It could not get any better! Board a raft and explore Costa Rica's great on a 2-hour Floating Safari Landscape. Equipped with a helmet and a life jacket, paddle along the quiet Sarapiqui River. Hold on tight, but it will not be dangerous here! Opt for three exciting activities and experience a great day that you will not forget for sure! Please note that children under the age of 9 are not allowed to participate in this excursion. Pick three experiences of your choice. Prices are based on 2 persons.